Christmas is almost upon us! Yes, yes, I know some people get in a tizzy when Halloween ends and every store is suddenly red, green, and tinsel-covered, but why not start celebrating the most wonderful time of the year as soon as possible? While I think the main focus of the season should be celebrating the birth of Jesus Christ with your loved ones, it can also be a season of gift-giving. I figured I would create a few “gift guides” for various people you may be buying for this year in the off chance you’re stumped on what to buy them. First up? The fashionista! Clothes can be difficult to buy for someone because they often need to be tried on, but accessories are mostly “one size fits all,” so they’re great for gifting! Another bonus is all of these items can be purchased online which saves you from fighting the holiday hustle and bustle at the mall. Statement jewelry is changing all the time, so if you want to gift your friend a necklace, something timeless may be the route to take. A simple, gold initial pendant like the one above goes with so many styles, so chances are, she’ll get tons of use out of it! You just can’t beat Ray Bans. The pairs I have are still in great condition after years of wear, and they’re so classic. I can’t wear my Ray Bans without feeling cooler…which as I’m typing makes me feel very uncool, but I don’t care. It’s true. A pair of sunglasses is a great accessory your friend can use year-round! Purses can be tricky because people are often particular about what type or size they want. However, a solid-colored cross body would be useful for anyone. A sturdy material like leather is perfect for wear and tear, and it’s convenient to grab as you’re running out the door! What’s one “accessory” almost everyone is guaranteed to have on them at all times? Their cell phone, of course! A fun phone case could be the perfect gift for your friend, and it would definitely be unexpected. Some people love changing their cases to match their outfit, mood, or the season, so I’m sure a new addition to their collection would be happily welcomed! 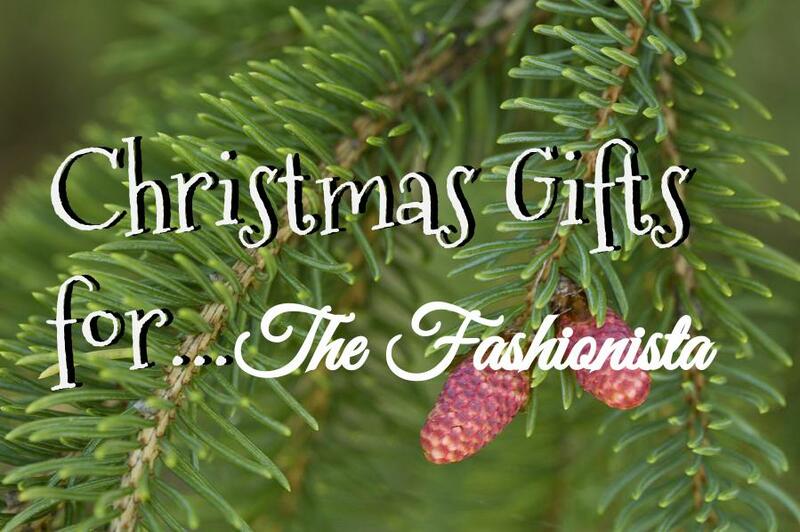 There you have it, my short gift guide for the fashionistas in your life! I’m planning to do a few more gift guides this Christmas season, so make sure to come back! Any particular “friend category” you need ideas for? Let me know! *This post contains affiliate links, which means if you make a purchase using these links, I may receive a small percentage at no additional cost to you. Thank you for supporting Hoots of a Night Al! You may enjoy these, too! I love all of these! Does that make me a fashionista??? DUH. You were obvi the inspiration behind the post.